This great free song from 29:11 called Compass is currently available for a free download. It’s a really good worship song, and is well worth adding to you collection. 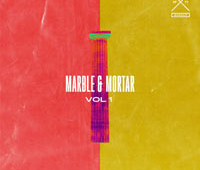 If you like their music you can get more from their album Marble & Mortar, Vol. 1. This free song is available from the the Jesus Freak Hideout. You can find more great free Christian songs at the Jesus Freak Hideout website. Jesus Freak Hideout has a huge collection of high quality modern worship music free to download.